4 axis CNC foam cutter is used for cutting foam, PVC, acrylic, and the CNC foam cutter can also work on soft materials, especially for aluminum and bronze. Now the CNC foam cutter for sale with affordable price. 1. 4 axis CNC foam cutter is used for engrave large non-metallic mould, especially automotive foam mould, wooden ship mould, aviation and train wood mould. 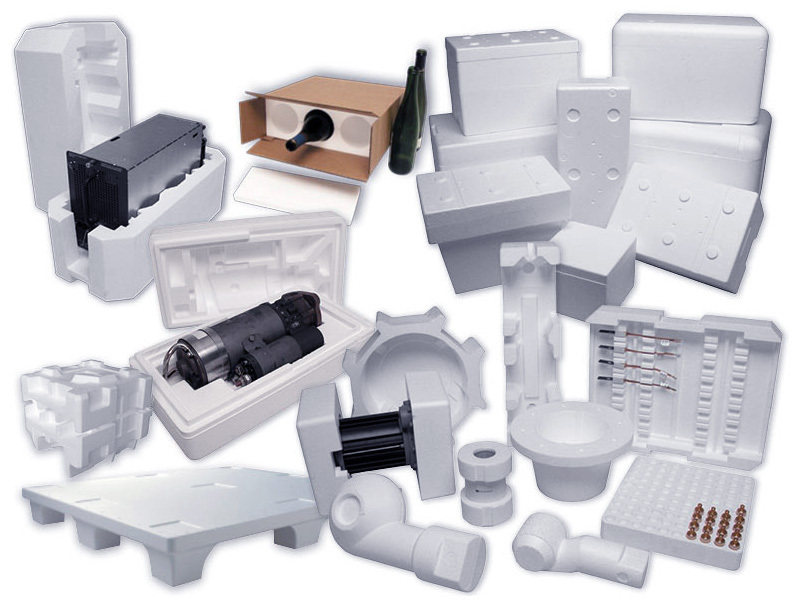 And wood mould casting, food mould (e.g. moon cake mould) and other mould making. 2. With the rotary axis, it can do any kind of 3D cylinder material and mould processing for woodworking, advertising, molding industries. 3. With the 180 degree spindle rotation, it can can engrave some arch shaped work piece as well. 4. Z axis can be heightened to 1,000 mm, suitable for large-scale material 3D curve working. 1. 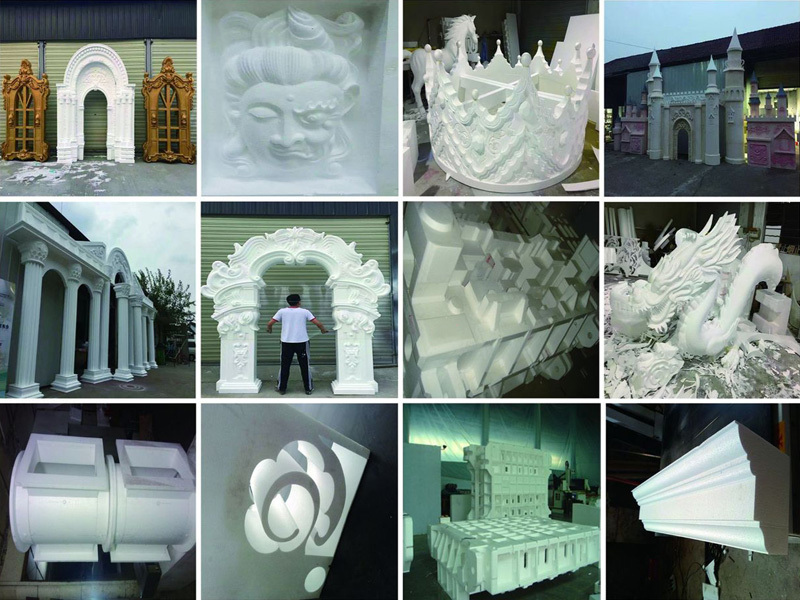 Mold industries:sculpture various large non-metallic mold can be particularly suitable for any kind of Foam (EPS)mould, wooden ship model,wooden model aviation and other wooden mould. 2. Musical instrument industry: Can carve three dimension musical instrument, contour cutting. 3. Non-ferrous metals: materials such as aluminum, copper, alloys and other ligh non-ferrous metal processing. 1. 4 axis CNC foam cutter lathe bed is welded with thicker square tube and is processed by high temperature tempering treatment and vibrating stress relief (VSR) to relief residual stress. The stability is excellent, not easy to be deformed. It has the property of good rigidity and heavy loading. 2. 4 axis CNC foam cutter adopts Hiwin high precision square guide rail, X and Y axes adopt rack and pinion transmission, fast working, high efficiency and low cost, Z axis adopts Germany-made ball screw, with high precision and longevity. 3. 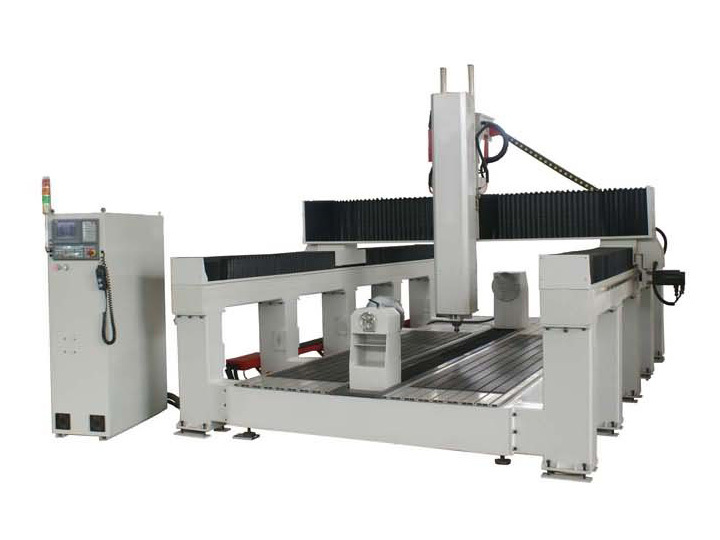 4 axis CNC foam cutter adopts gantry movement,it can process any kinds of materials freely. 4. Intelligent processing cross-border protection function can prevent mechanical impact caused by the improper design documents. 5. 4 axis CNC foam cutter adopts mported ball bearing, widening linear guide rail, self-lubricating sliding block. When engraving, equal force in all directions, to ensure the accuracy and strength. 6. 4 axis CNC foam cutter has the function of recarving after break point and power failure. 7. 4 axis CNC foam cutter has the function of forecasting process time. 8. Diversified control system of the 4 axis CNC foam cutter can control processing speed, idling speed and tool falling speed respectively, greatly improved the quality of processed. Technical supports and suggestions before you order a machine according to your work piece. The guarantee period shall be 12 months counting from the date on which the machine arrives destination port. Except the damage artificially, we are responsible for offering the fittings free of charge during the guarantee period, but you must send the damaged fittings to us by courier with your charge before we send back the alternative fittings to you. After the guarantee of quality period, the parts required to repair or change, if any, shall be paid. Customers can get detailed operation manual and instruction video. 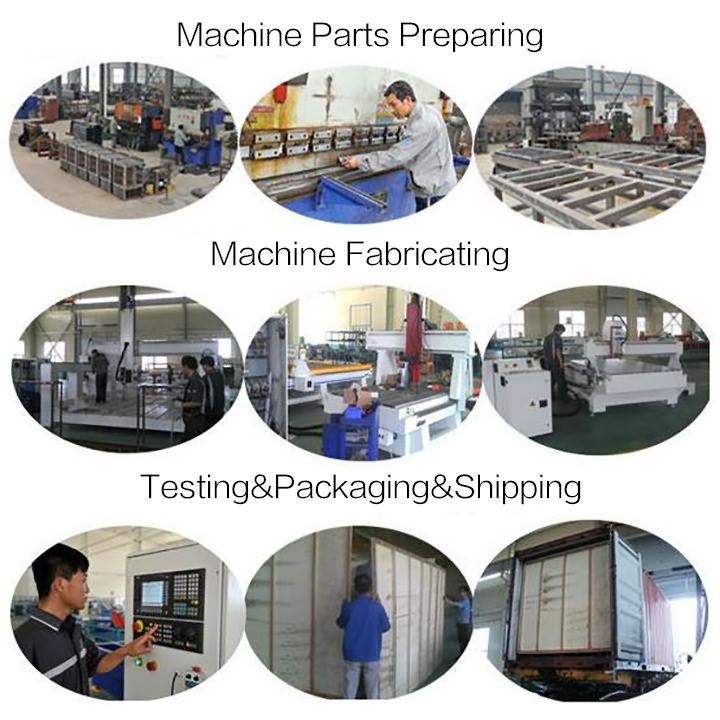 We will make sure that customers can operate machines skillfully. 24-hour technical support by email or calling. Our technician will come to your workshop if the problems can not be fixed through Internet or phone communications. License: The text of "STYLECNC® 4 Axis CNC Foam Cutter for sale" by STYLECNC is licensed under a Creative Commons Attribution 4.0 International License.